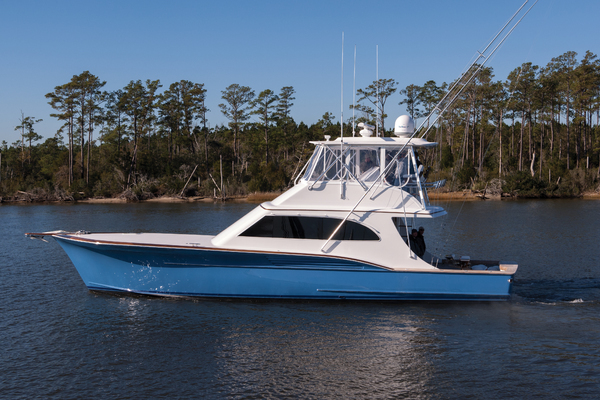 (LOCATION: Punta Gorda FL) The Post 46 Convertible is a legendary sport fisherman with great styling, premium accommodations, and exceptional fishability. This is a two stateroom convertible with flybridge, well equipped cockpit, roomy interior. The flybridge features hardtop with three-sided enclosure, outriggers, rocket launchers, overhead electronics box, helm station, custom captain's chairs, and guest seating forward and to port. The helm features a full complement of electronics including: Furuno NavNet Navionics with integrated chartplotter, radar, GPS, autopilot, Datamarine depth finder, compass,and Icom VHF radio. The flybridge is large, enclosed, and well equipped. The big, 150 sq. ft., cockpit gives you more than enough workspace, and includes rod holders, outriggers, freezer, two fish wells, tackle locker, fish boxes, transom door. The foredeck includes bow pulpit, anchor, windlass, power davit, and dinghy cradle. The interior is large, open, and comfortable with large windows for natural light and blinds for privacy. The salon has an L-shaped convertible sofa port side with coffee table. To starboard we have an L-shaped dinette with large table. An entertainment center with TV is forward. There is lots of room to relax after a day of fishing and discuss the ones that got away while enjoying a cold beverage. Forward, down to port, we have the full galley down with full size upgraded refrigerator, new two-burner cooktop, microwave oven, toaster oven, ample storage, and a solid surface countertop with integrated sink. For overnight and extended fishing trips there are two staterooms, each with a full head compartment with shower. The master stateroom is forward with island queen berth, his & her hanging lockers, and ensuite head compartment. The guest stateroom has upper & lower bunks and guest head with shower. Lots of room and excellent accommodations makes the fishing or cruising all the more enjoyable. Performance is provided by twin Detroit Diesel engines generating 450 horsepower each with only 300 hours since a Johnson & Towers rebuild. There is an Onan 8-kW generator and reverse cycle HVAC. 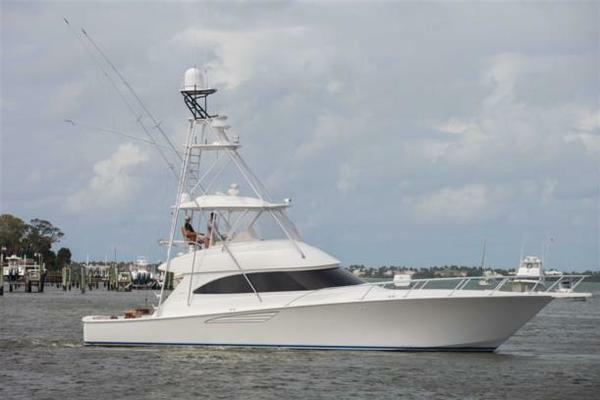 She is a good-looking, well equipped sport fisherman with room and first class accommodations. Walk through this vessel and you'll realize this boat has had an owner who appreciates a fine boat and has maintained her to high standards. If you appreciate fine boats call now to schedule a showing of this 46' Post Convertible. United Yacht Sales New Jersey would love to guide you through a personal showing of this 46' Post Convertible 1988. This yacht for sale is located in Punta Gorda, Florida and priced at $119,900. For a showing please contact us by filling out the form on this page and we will get back to you shortly!